VELUX roof windows are available in a vast range of sizes, finishes and options to give you the tools to make the very best of any project. 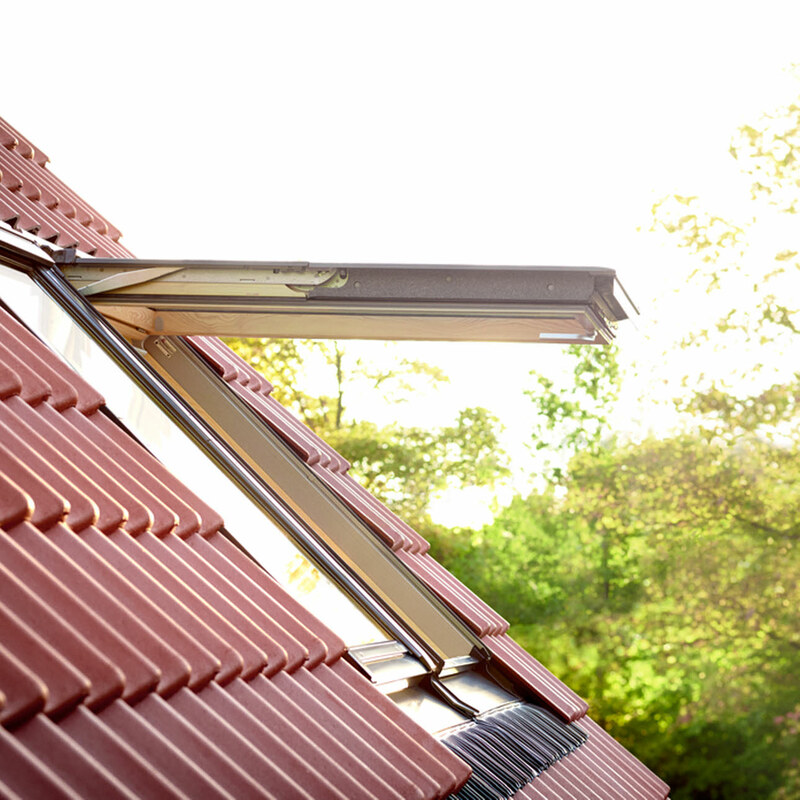 Whatever the purpose or type you require you can choose between centre-pivot (GGL/GGU), Top-hung (GPL/GPU), VELUX INTEGRA® electric and solar, Balcony and Terrace or Conservation Roof Windows in a variety of functions such as smoke ventilation or sound insulation. The Centre-Pivot Roof Window is a classic and versatile design manufactured to be easy to open, easy to use and easy to install. If you need to place a window in a low position or where you would like a greater view of the surroundings below this roof window option is flexible in allowing for this kind of installation. They are quick to open and close with the convenient top control bar even when furniture is placed beneath. 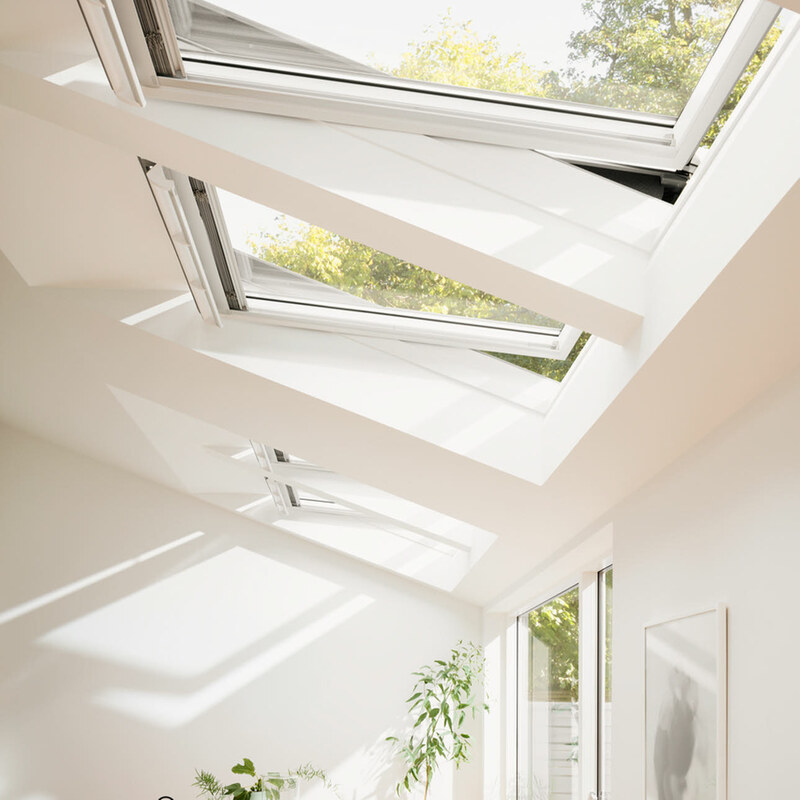 All VELUX Roof Windows are designed with VELUX ThermoTechnology™ a formula of high performance materials in the window construction for better energy efficiency, insulation and an airtight seal. 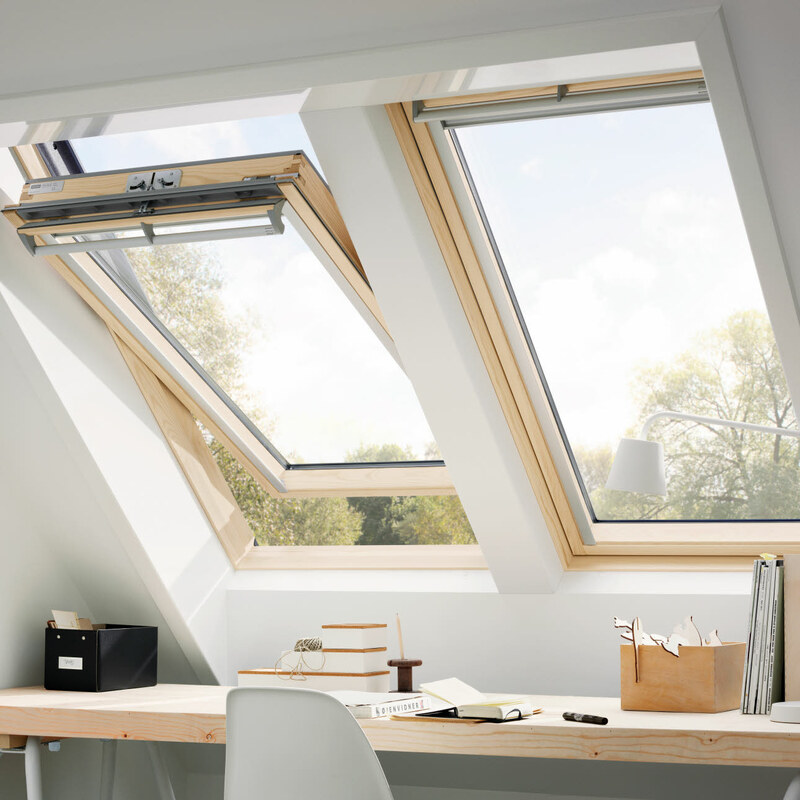 If you would like ultimate comfort in your roof window then opt for the VELUX INTEGRA®. This innovative system of remote controlled windows allows you to open and close your roof window in a touch of a button. The control pad lets you use various programmes you can set to suit your lifestyle – from anywhere in your house. This range is the ultimate choice for fresh air and better indoor comfort, available in electrical and solar powered options. 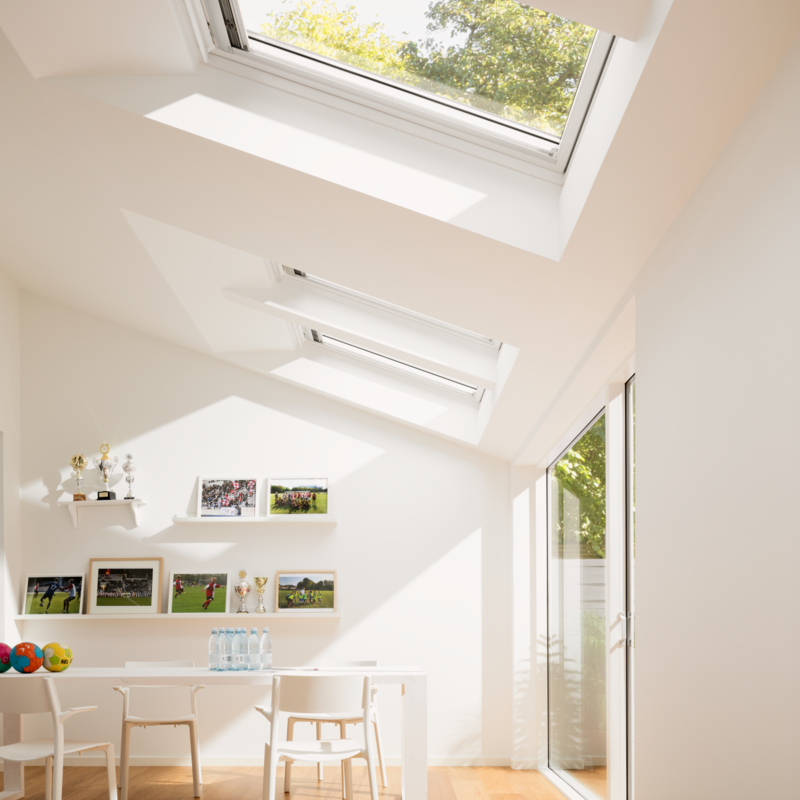 For a full, open view of your outdoor surroundings choose a top-hung roof window from VELUX. With one handle at the bottom it maximises the view you can have as well letting daylight into your room giving a feeling of extra space. Maintenance needn’t be an issue either as all top-hung windows rotate on 180 degrees for easy cleaning from the inside. More natural light and fresh air... enjoy panoramic views, increase natural ventilation and gently increase the amount of natural daylight entering your rooms. Within each VELUX range you can opt for a lighter, brighter living space by choosing NEW VELUX white-painted roof windows. The white finish reflects more light back into your home than darker surfaces, so you can fill your home with even more natural light. White polyurethane is the perfect solution for humid rooms like kitchens and bathrooms with no visible joints and easy maintenance for hard to reach areas.